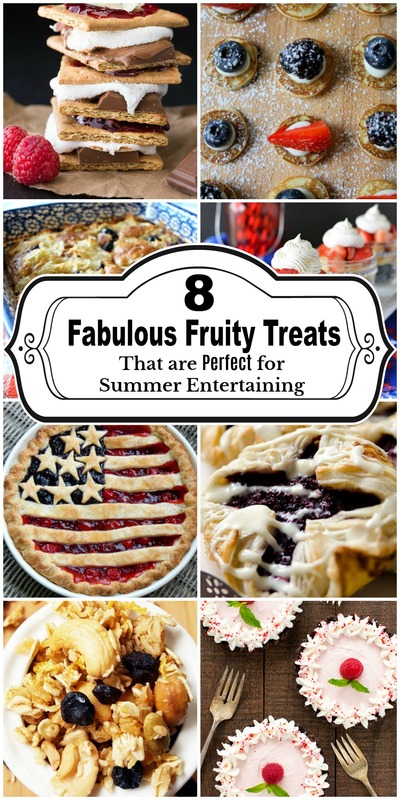 It’s summertime and the living is yummy… when you have a collection of 8 Fruity Treats Perfect for Summer Entertaining at your fingertips! Or at least the links and recipes for them. Thank you, Malia, for including my flag pie in this lovely line up! What a lovely surprise!!! !